During the meeting Empathy Action Teresa was narrating while Jac was in the process of creating the prescription. 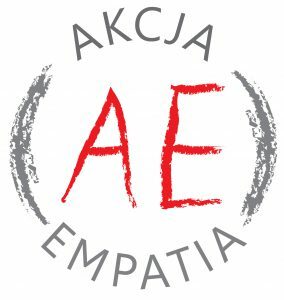 We present you with brand-new recipe on acting with empathy by two Ashoka Fellows- Teresa Ogdrodzińska and Jac Jakubowki. Teresa Ogrodzińska: I couldn’t notice for a long time what interested me indeed: literature studies, theatre or opposition activity. On winning the election back in ‘89 I worked with Henryk Wujc at Civil Parliamentary Club. Due to it I learned how to work 19 hours per day. I’ve engaged in that much, that even stopped taking care of myself. But when it came to huge chaos around I arrived at the conclusion I was capable of making something independent, I could set the foundation. Together with Marysia Holzer we founded The Polish Foundation of Children and Youth. Since then, at first at the PFCY , now at The Comenius Foundation for Child Development, changing the world is my passion. Sometimes the change is slight, but often it can be seen, touched. Something used not to exist and now it’s here. The change gives me a buzz. Be in harmony with your values. For example, that one like changemaking. Teresa Ogrodzińska: I was lucky enough to have the possibility of travelling and observing the various educational solutions in other places. I spotted preschool spots in Portugal and remastered their concept to apply in Poland. I’ve got that kind of ability to spot what can be transferred and adapted in Poland. Prescription on action based on empathy acc to Jac point 2. Get inspired from the world consciously. Adapt the ideas according to needs in a creative way. Teresa: Before starting each new activity within the Foundation we make the diagnosis. First we talk to the group of regional civil servants, teachers and parents we are in friends with through years. Asking and staying within the dialogue expresses our nontrivial perception and acceptation of interlocutor, however we can have different point of view. It’s of vital importance that we later return to our interlocutors with the research report. Later we provide the pilot study of quite small group. We can start acting more widely only after drawing the conclusions. Prescription on action based on empathy acc to Jac point 3. Get to know, talk, ask. Question is the entrance to any relation. As professor Anna Giza-Poleszczuk says there is no more any “study” in social research, but a “question”, which means to get involved into relation. Teresa: There must be always someone who gets excited about something and is determined to bring it to life within the commune we start working in. We set more than 300 pre-school points, the vast majority of them is still on, however we don’t coordinate it for years for we managed to find someone interested in: civil servant, teacher, social worker, sometimes the parent. Find the hothead, partner, who shares your mission. It shouldn’t always be that person whose work position indicates the interest in your subject. Build the unexpected partnerships with enthusiasts. Teresa Ogrodzińska, Ashoka Fellow, CEO of The Comenius Foundation for Child Development . They trained more than 11000 people, cooperating with 300 communes for the sake of equality of children possibilities for them to get brighter and happier people. Jacek Jac Jakubowski, Ashoka Fellow, says about himself that since early youth he does the same things, tries his best to fix this world. Initiated quite a few changes in environment: of hippies, academic, theatrical movement, therapeutic , educational, of local government, of NGO and business, cofounder of TROP Group. Empathy Action – feel free to join the all-Poland social actionCooperation based on empathy, the main organizer of which is TROP Foundation. The word “empathy” becomes the significant term forming the social imagination, the way of self-development and reflection to different forms of cooperation of people.